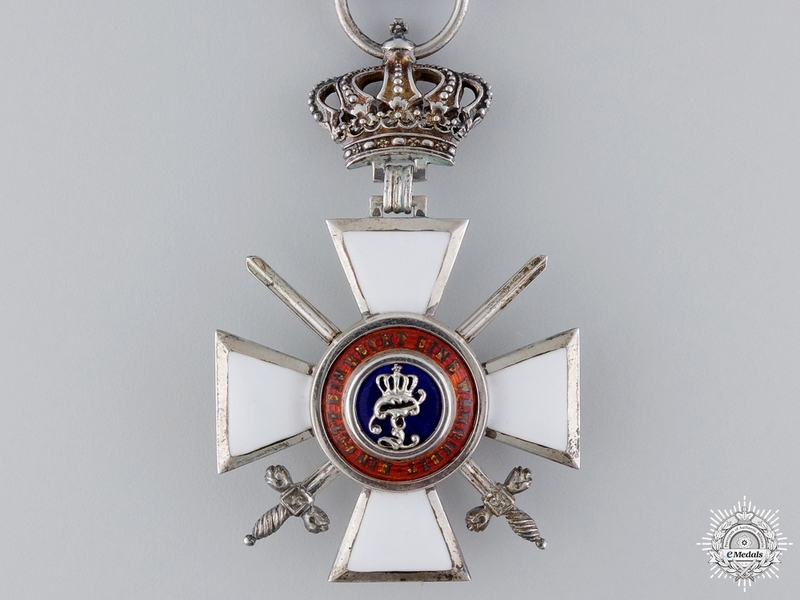 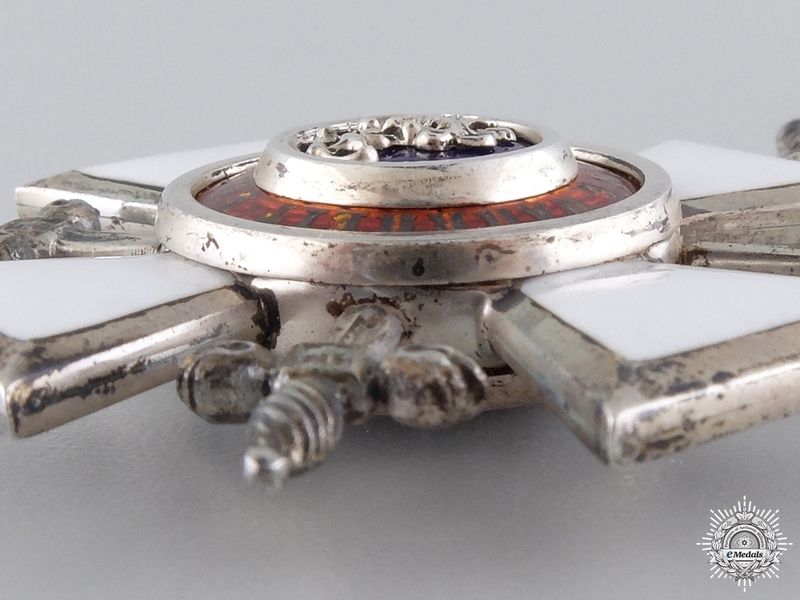 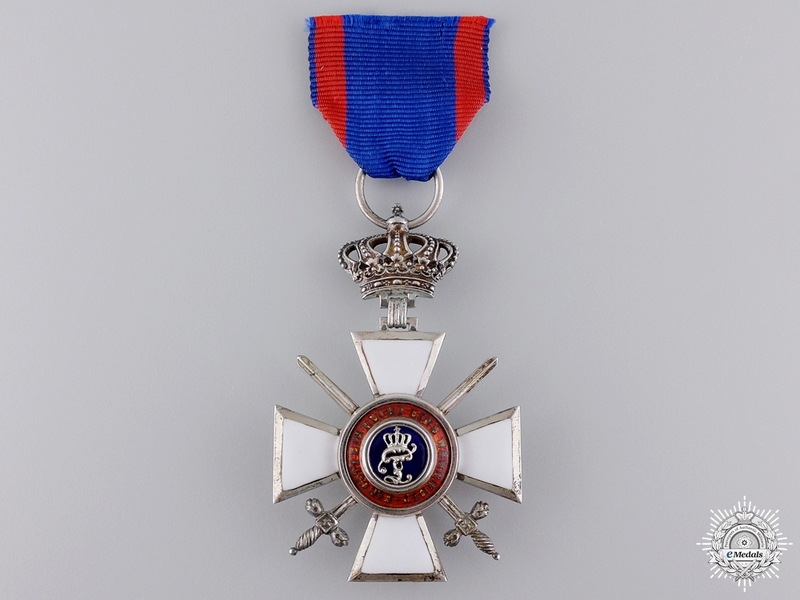 An Order of Peter Friedrich Ludwig to the 84th Prussian Regiment - Knights Cross Second Class with Swords and Crown, in silver and enamels, 40mm (x64mm including crown suspension), unmarked, of very fine quality manufacture, with short original ribbon, nearly mint condition; Sold Buch from the 84 Royal Prussian Infantry Regiment, 28 pages, missing outer cover but otherwise in good condition and thoroughly filled in; Award Document for the Hamburg Hanseatic Cross, with original creases from presentation, in fine condition; House and Merit Order of Peter Frederick Louis in fine condition, with original Document and guidelines for wear, slightly worn condition. 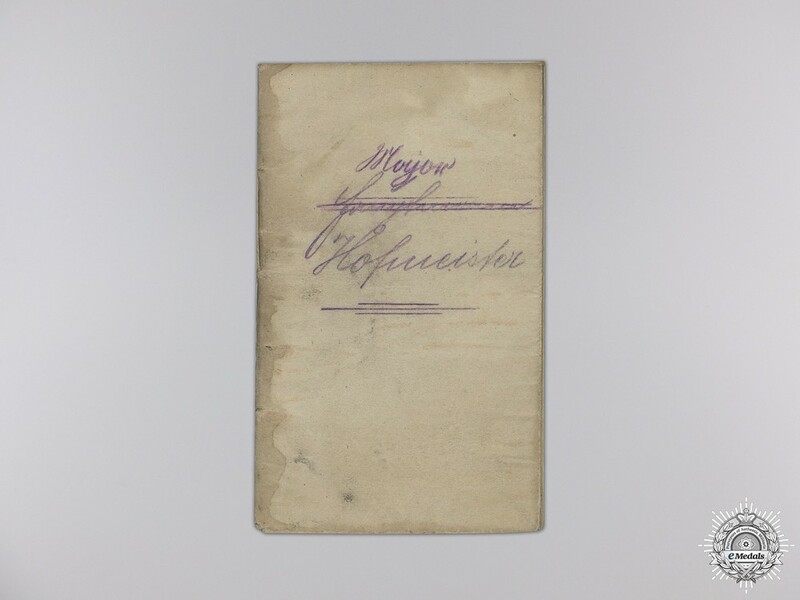 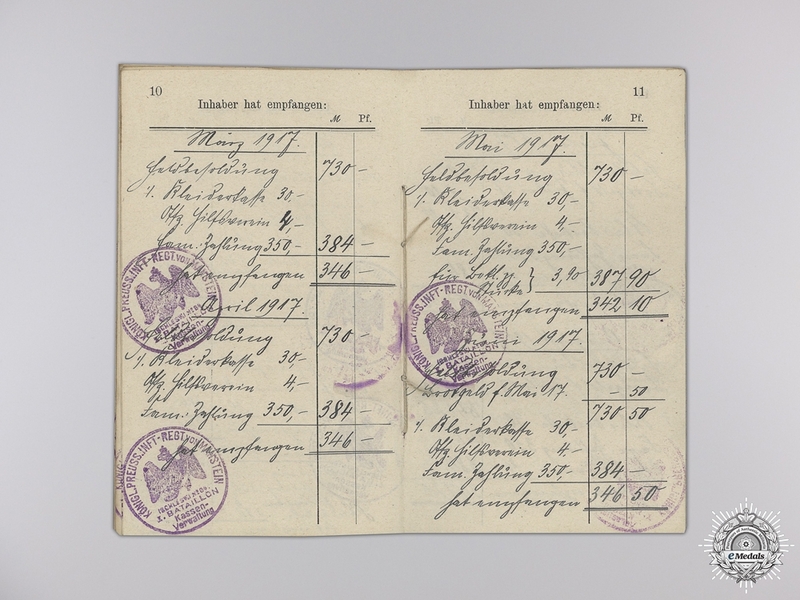 Footnote: According to his Soldbuch, Fritz Georg Melchior Hofmeister was born March 11th, 1875 in Goerlitz in the Prussian province of Posen, his family were wealthy estate owners. 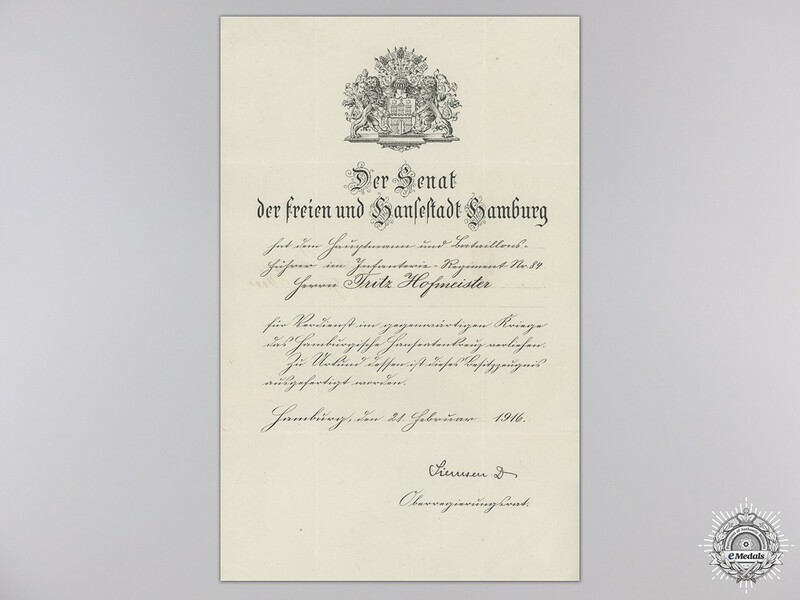 He married a woman from Oldenburg and had one child. 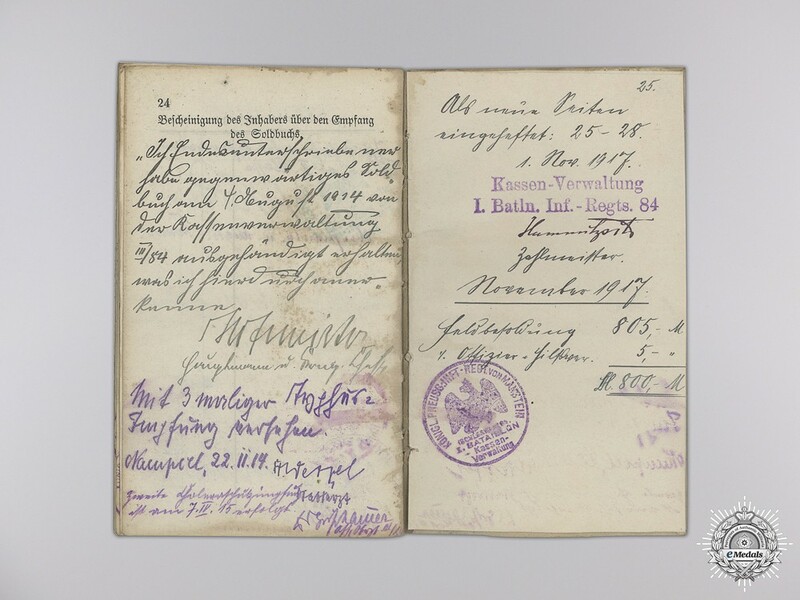 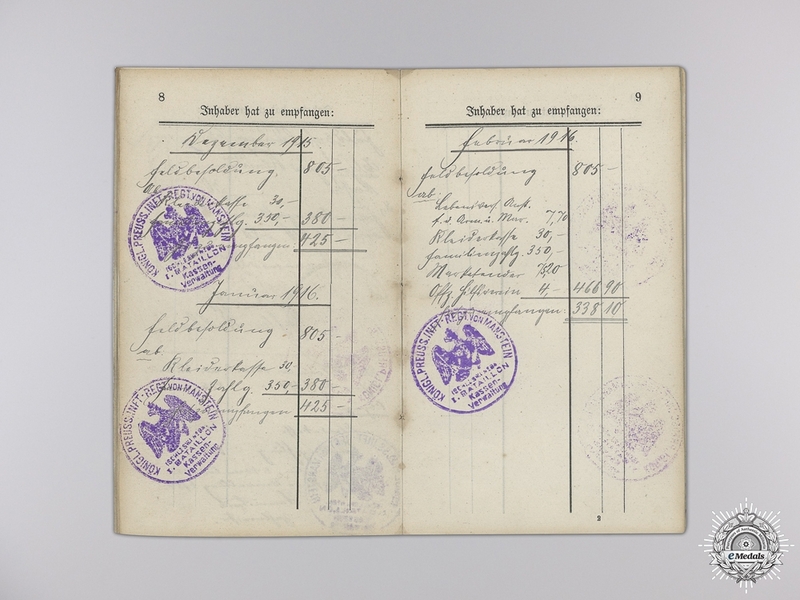 His service with the 84th Royal Prussian Infantry Regiment began in December 1915, and the entries continue until November 1917. 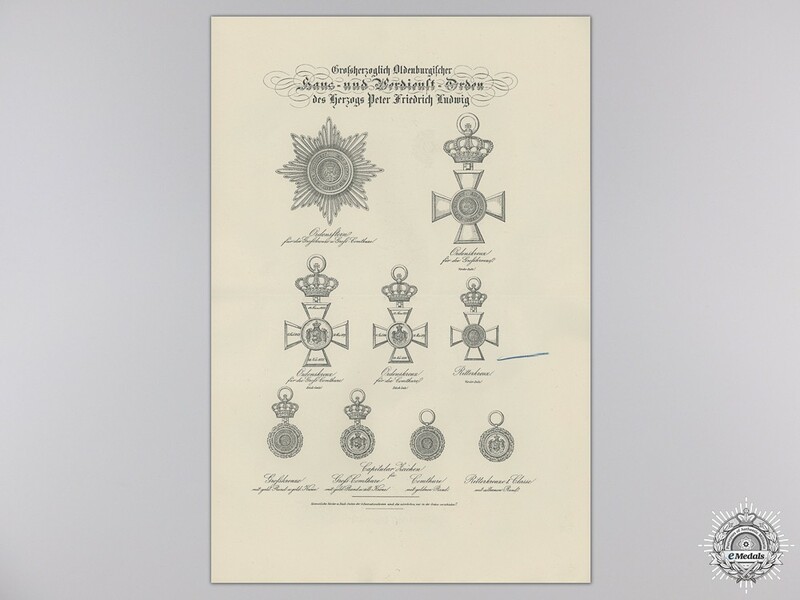 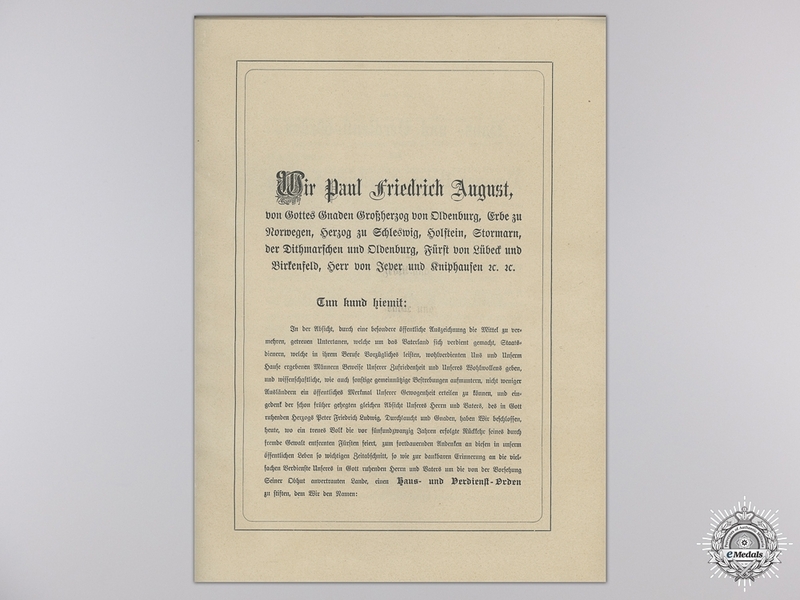 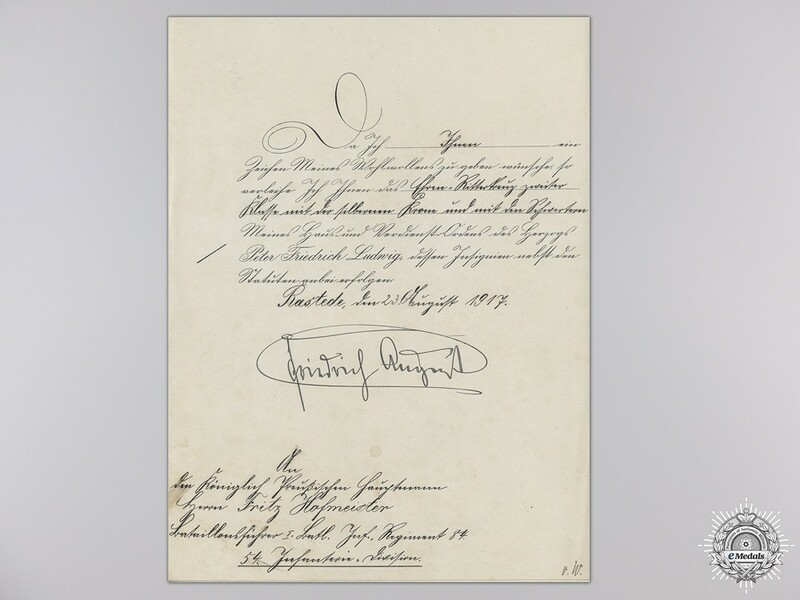 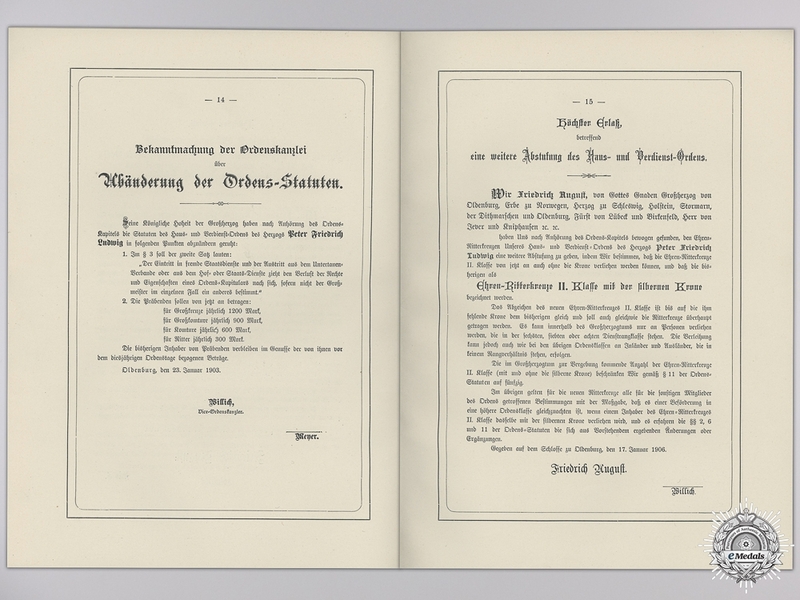 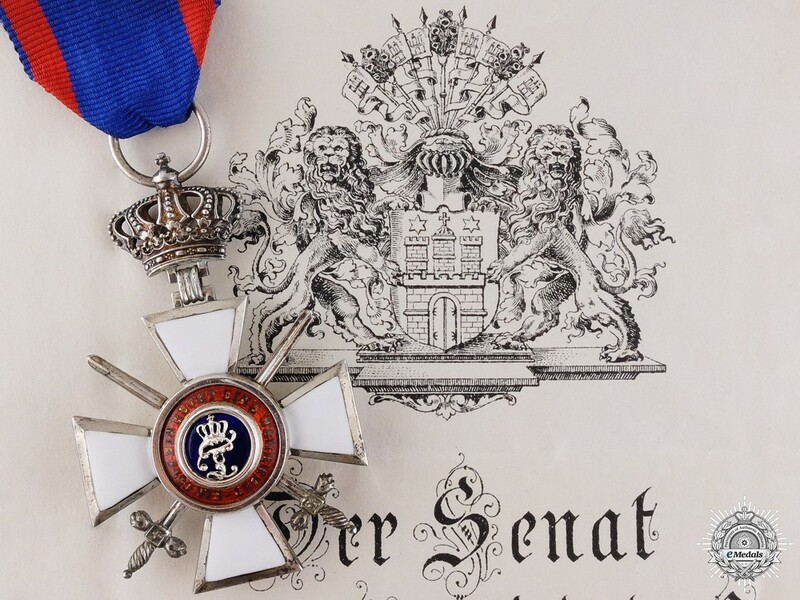 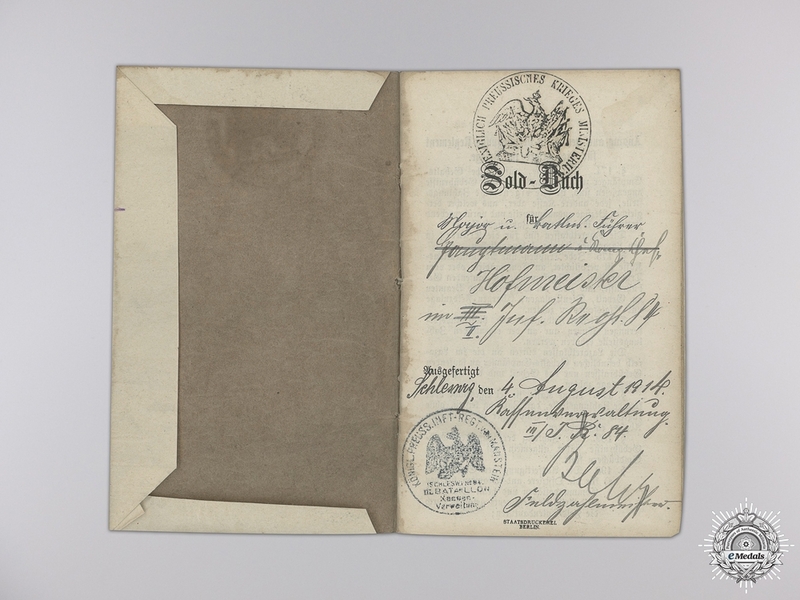 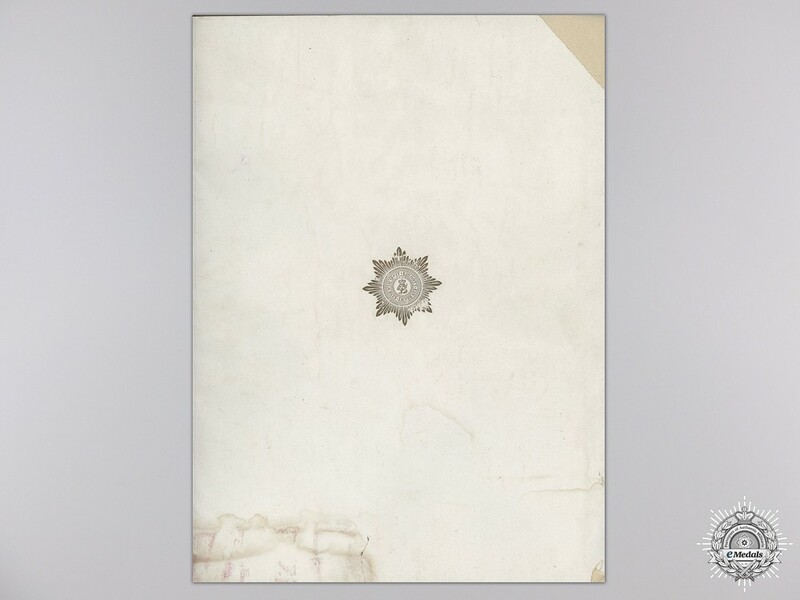 He was awarded the Hanseatic Cross from the city of Hamburg on February 21st, 1916 for meritorious conduct in war. 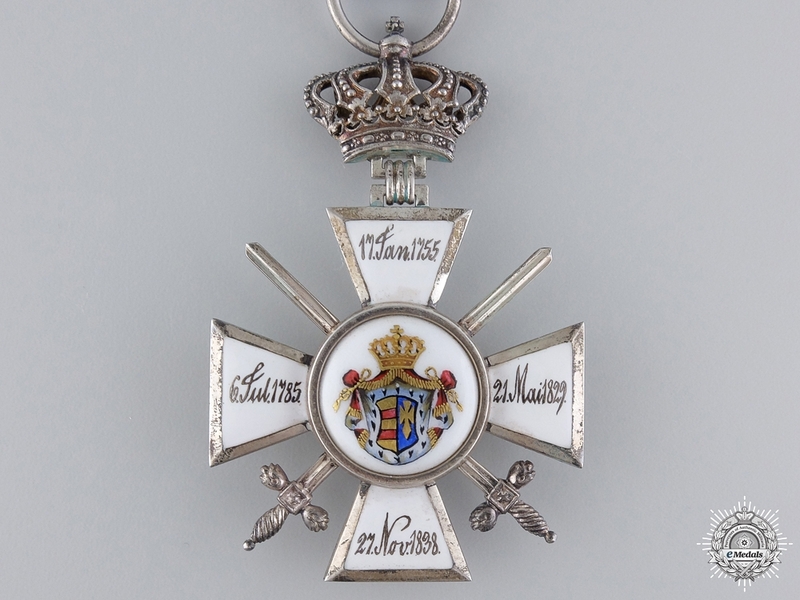 He was awarded the House and Merit Order of Peter Fredrick Louis on August 23, 1917.